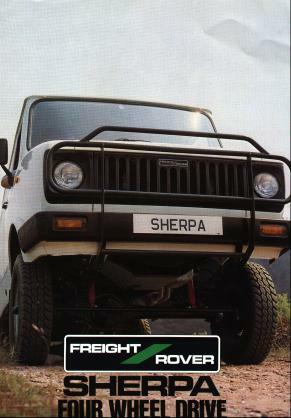 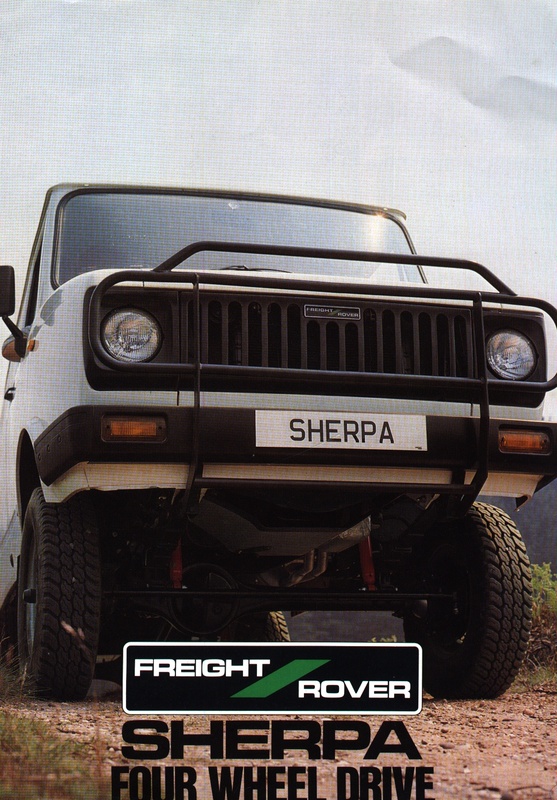 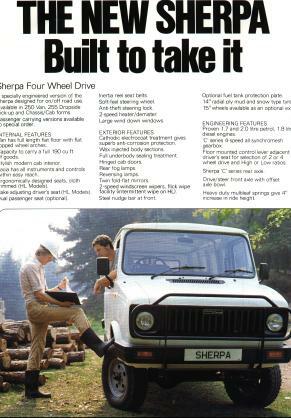 There was a 4WD version of the Sherpa. 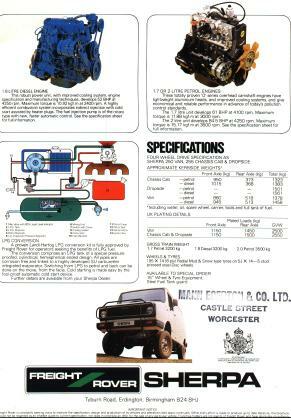 It would be logical to assume that the running gear was based on Land Rover components, but looking at the pictures below I can't be sure exactly what was used. 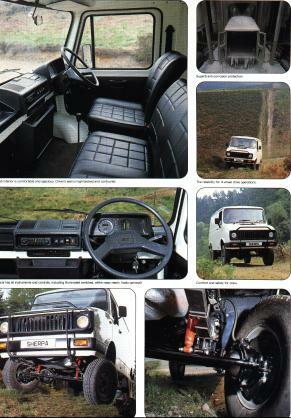 You can click on the images for a very large version of each scan.